Bringing more Small and Medium Enterprises (SMEs) online can increase their contribution to India's GDP by 10 percentage points, taking it up to 46-48 percent by 2020, according to findings of a joint Google-KPMG study shared on Wednesday. The study said 68 percent of the 51 million Indian SMEs are offline. Only 32 percent have web presence of any sort. 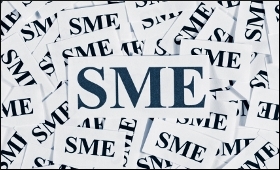 SMEs will be key driver of India's economic growth, currently accounting for 37 percent of the GDP and employing 120 million people, it said. It also revealed that going digital can double the profits of SMEs compared to those offline. Likewise, digitally-engaged businesses are able to grow their customer base significantly, with 52 percent catering to customers beyond their home city versus only 29 percent offline SMEs. The findings of the study, titled "Impact of Internet and Digitization on SMEs in India", were shared by Google at first "Digital Unlocked" training held for local small and medium businesses here. The search engine giant showcased a range of its programmes and products to enable Indian SMEs leverage the power of technology. Rajan Anandan, Google's Vice President, India and South East Asia, said with 400 million internet users, India is the second largest internet community in the world while the US is a distant third with 300 million. Over 300 million Indians access internet over smartphones. He noted that internet eco-system witnessed dramatic change in last 8-10 months with the country moving from slow to high speed connectivity. Rajan said the incredible growth is bringing huge opportunities to Indian consumers and businesses and the long-term prospects look exciting. He said that Google's mission in India is that "internet for every Indian". It will be focused on getting next billion users online. The company has identified barriers and addressing them to ensure internet access to every Indian. It has taken several initiatives, like high-speed WiFi at railway stations. Kevin O'Kane, Managing Director, Google Marketing Solutions, Google Asia Pacific, said for SMEs, technology can be a powerful enabler to build their voices online, make them discoverable by users and provide insights that lead to real business results. Digital Unlocked is an online and offline and mobile training programme to empower SMEs with digital skills. The offline training is conducted in partnership with FICCI and over next three years, 5,000 workshops will be held across 40 Indian cities. The online training comprises a set of 90 self-paced video tutorials, curated specifically for India, and is available free of charge at g.co/digitalunlocked. The trainings are certified by Google, Indian School of Business and FICCI. Since its launch in January this year, Google has hosted Digital Unlocked workshops in five Indian cities and trained over 4,000 businesses. Kevin said Google recently launched "Primer", a free mobile app to teach digital marketing skills. It also works offline and is available in English and Hindi. It will soon be available in Tamil, Telugu and Marathi languages. In the last two months, Primer has been downloaded over 550,000 times. Google also previewed "My Business Website", aimed at equipping SMEs with a simple way to create free mobile-optimised website. It also announced the launch of "SMB Heroes", a nationwide programme designed to recognise and celebrate SMEs that have embraced digital to grow their businesses. SMEs can submit their nominations till April 24 on SMB Heroes website for their categories -- business innovation through digital, impacting change through digital and woman business leader.